A page dedicated to the documentary is in the works and will have photos from fans who were there. 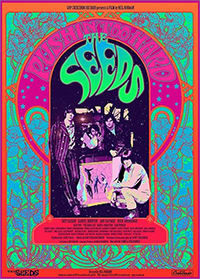 Click HERE to learn more about the Rockumentary. Subscribe to this website to make sure you are notified of all updates to the site! 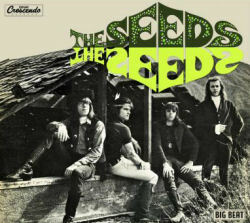 Let's get Sky Saxon and The Seeds inducted into the Rock and Roll Hall of Fame. Join our Facebook group by clicking on the Rock and Roll Hall of Fame Icon. CLICK on the ALBUM COVER to read more about it and to purchase. 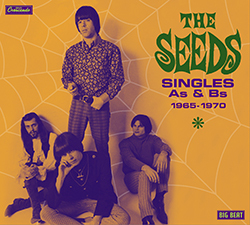 The Seeds Singles is released by Alec Palao and Ace Records. Click on the album cover to purchase Purchase t-shirts, etc. 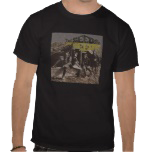 at our Zazzle store. All proceeds go to the heirs of Sky Saxon. 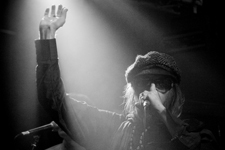 Sky's Saxons Triumphant return to Garage Rock! Destiny's Children originally released in 1985 was a return to his roots. One of Sky's best albums of his career now goes digital! 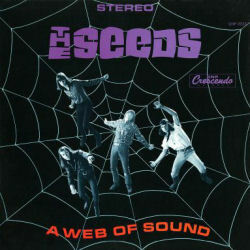 Featuring Mars Bonfire Songwriter of Born to Be Wild playing and co writing with Sky on these releases. In Search Of Brighter Colors the Classic Sky Saxon and Firewall Compilation goes digital. Great collection from the two firewall albums. Sky Saxon Returns to his Garage Rock Roots and delivers some of the best music of his career with Firewall. 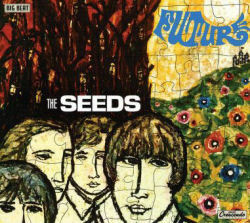 Download this classic album now! 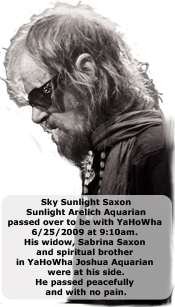 Legendary Garage Rocker Sky Sunlight Saxon joins forces force with Yahowha 13 for this one off classic album Golden Sunrise. Out of the ashes of the source family Fire, Water, Air was born. Golden Sunrise is musically created spontaneously just as it was done with Yahowha 13. Sky Saxon takes over for Father Yod who recently passed away. One of the rarest of Sky's recordings! Download this classic now. One of the rarest recordings of Sky Saxon. The Yodship Suite is a spontaneous recording! Isis Aquarian and Djin Aquarian. Please find the video and photos HERE. if not one of the largest tribute albums ever! The Tribute Album is ready to be released but we are working out licensing with the early record label so it is taking more time to be able to release it. TRIBUTE ALBUM line-up is amazing! of the most prolific songwriters of all time! CLICK HERE to see the amazing lineup!!!! You can also hear a few of the covers with their accompanying videos !!!! Sky Sunlight Saxon never fades away. SKY SAXON ! ! ! One of the main women in Sky's life, Wings Aquarian has up for sale a leather jacket Sky gave her. Learn more about Wings and the leather jacket HERE!